The universe is totally connected through the heart-to-heart connections we make in our lives. I’ve have been working on a very big puzzle, the fulfillment of a vision that anchored into my heart and soul in mid-2009. As I look back, the transformation began much earlier but it was in that particular moment in time when the course of my life was radically altered. It took the form of a clarion call to anchor light into energetically significant locations around the world. The call to rally—at first—sent a wave of fear through our close-knit group. Then we recovered and realized that the Divine within us would never prompt us to take on such an enormous undertaking if we were not already inherently prepared. This anchoring has taken form as 32 Global Light Centers, or Centers of Light. There have been many visioning sessions since that first clarion call and a plethora of activation trips that, at times, felt more like an adult kind of cosmic Disney World than anything found in 3D reality. This mission is Spirit led, which makes this story about connection and synchronicity so remarkable. I have come to learn that I am always divinely guided. I just need to show up and be willing to step into co-creation with the Divine and receive the gifts that are right there in front of me but just a step outside of my awareness. As I take the most immediate next step (the action that is most aligned with the heart of who I am, as I sense and feel the way ahead, it’s the joy that adds the proof. I am suddenly in the right place at the right time, and I am always delightfully surprised by what the Divine has led me to discover. This entire project has been this way. I’m beginning to feel that it is my training wheels for how to live my life. Very early on, in our visioning meetings, I had been shown bio-spheric domes, multi-sided circular built structures, spread over vast regions as cities of the future. When we first began formulating the strategic plan, I researched these types of structures, and even found a few. Over time, I realized that the bio-spheric domes I’d seen in my visions are actually created by intentionally created sound. Sound creates a harmonic, which forms a vibrational field of resonance. That field is sustained by people who amplify the frequency through the purity of their own hearts. We, after all, are walking, talking energy fields. Early on I was also shown beings, star elders, standing among us inside these domes. They were loving us, teaching us, imparting valuable real world knowledge to us—just as someone would be standing teaching, sharing, instructing in the physical. No matter how real the vision, I could not, for the life of me, fathom how that would come about or when. Outside wondering about how the most basic elements were to manifest, this has been the most thought provoking part of the entire puzzle, until this most recent discovery. I know, too, to recognize when I am in the cosmic flow after taking that most aligned step. This kind of quickening occurs when I am in the midst of making yet another incredible connection. It’s proof that there is a huge force of light that is guiding me toward a new piece of the puzzle. For over a year before this latest discovery, I’d been feeling like I was marching in place. There was just no real energy flow. There were even times when I began to wonder if I’d been led astray or was just too shut down to see or hear the way ahead. Overall, it felt like the entire global out-picturing was, on some level, rearranging in some cosmic way. The jumpstart that set so much more intensity and awareness into motion happened so unexpectedly, and with such a force, that it was hard not to miss it, but at first I did. The jumpstart of this particular puzzle piece began less than a month ago but got its start with a heart-to heart connection that began sometime in 2005. I met a read headed Goddess, a healer, entrepreneur, fellow adventurer and light being named Terri M. She used to come to the Living the Miracle (LtM), personal transformational workshops that my husband Mark and I facilitated in Fredericksburg, VA. In 2012, we stopped hosting the LtMs for a time in favor of focusing on the global activation work. Terri moved away but kept in touch. In 2013, she invited us to come and do an evening program at a friend’s house in Northern Virginia. There, I met a few of her friends, women who were a part of an organization called WOW (Women of Wisdom). Their founder, Donna Cary, felt compelled to call forth the women in her community and Terri was one that heard that call. Fast forward to Spring 2014, Spirit guided me to go meet Donna. She was ministering at a local Unity here in Fredericksburg, so off I went. After that introduction, I received a flurry of emails from her. Invitations and a call to come and attend a summer picnic then a Fall retreat. By late September, I found myself sitting right at the deadline of making the decision to attend. I submitted my workshop and activation descriptions but some part of me was still resisting the impulse to go. I could not, for the life of me, figure out why. I could clearly see the line of connection that led up to that moment of choice, but was waivering. I did a final check-in, and in meditation, I could feel my young eight year old self, with all the weirdness of youth insecurity, putting up a wall of resistance. Once I understood what was actually holding me back, I registered and hit the send button. Weeks later, there I was at a beautiful retreat center in northern Virginia for three and a half days of programs and activities. From out of the blue, during the Friday morning shamanic journey, I was quietly sitting in the stillness. Out of nowhere, I felt a succession of energetic bolts of lightening like energy push through the top of my head and pierce through my body. The frequency hit like a jack hammer trying to break up cement. Each wave was sharp and so intense that it caused my spine to arch forward. The tears flowed. It all felt other worldly as the consciousness bounced through my body. After years of experiencing all kinds of electric-like intensity, I should not be surprised when this happens, but I am. I used to ask a gazillion questions of every master teacher that I came into contact with (What is this? Why is it happening? How can I get it to stop?). I’ve learned, over time, that it’s just energy, grace, life force coursing through the body and is to be honored for what it is—pure consciousness. I have come to simply allow for how my body processes the dramatic shifts and have learned to accept whatever is happening in the moment. This was no different. As the facilitator called us all to get up and begin moving about, the thought of doing so seemed a bit odd and out of place given what I was in the midst of experiencing, but it was exactly the right thing to do. I found myself in a sea of graceful movement as all the women in the circle inter-mingled gently swaying to the live music and connecting to one another as they held flowers in their hands, symbols of their shamanic journeys. It was a beautiful heart-centered experience and by the close of the circle, I was feeling almost back to “normal” and functional. The rest of the afternoon was filled with a different kind of flow. It was my turn to facilitate an afternoon workshop for deepening one’s connection with the Source of who we are, which kept me in a kind of angelic field of light. By the time I got into the space of the evening program, right before it was my turn to walk folks through a Light Activation, my insecure eight year old self had fully resurfaced. I was suddenly feeling nervous and out of sorts. But the fear had no room to stay. As I opened to hear, sense and watch as the Angelic Beings did their magic, I felt an enormous flood of Light gracing us with their presence. On Saturday morning, I awoke and felt as though my body starting from the top of my head had been slammed up against a brick wall. I wasn’t sure I even wanted to join the day’s activities, but I did. During the morning circle, a soul sister came over and sat next to me. We exchanged greetings and from that moment on, I knew that no matter how awful I felt, I needed to pay attention. Spirit was guiding me to understand something about her life path and how we were to connect. It was just a short time later that I discovered who this amazing Light being actually is. In another life time, she was a high priestess, and now, she has incarnated to serve as an inter-dimensional grid activator. Our meeting and coming together during a guided one-on-one healing exchange that morning was profound. I gave her the information that she needed to complete her cosmic date with destiny and she gave me the gift of affirmation. I left that experience with a renewed sense of optimism for what was to come. As an aside, any inter-dimensional grid worker will tell you that it takes great faith to follow one’s inner guidance—to go and do the things that matter as guided by an unseen voice or knowing—is a solo adventure even as you feel totally loved, honored and supported by the Divine. It’s tough to explain to someone who would only think you are crazy. So, to find someone who totally gets it, is exciting. This whole grid activation work is a whole other level of deep listening. 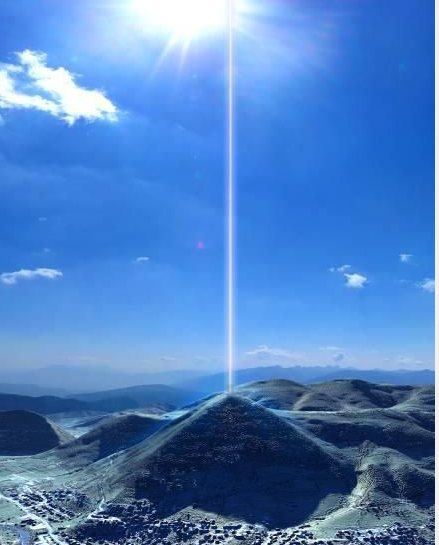 One person activates the inter-dimensional grid and the next downloads the light codes into the planetary grid. What’s within one soul, as a unique energy system, once aligned within the context of a geographic grid point or a set of intersecting lei lines, activates the entire grid. It’s as if we are all working this huge mosaic of inner planetary grid lines as we activate and anchor pure consciousness for balancing and harmonizing the whole. Some of the ancient temples are being activated now, too, which are part of a much larger complex system. This grid, when activated, allows the rest of us full access to the ancient wisdom, star technologies and free energy solutions needed as new souls incarnate. Grid activators and anchors of light need only show up with an open heart. They have all the light codes within them to activate these grid points, and when they do, they send their unique frequency imprint through this ancient temple system. All of humanity receives the wisdom. It’s incredible to realize that we, in our embodied states, are uniquely called to work this huge cosmic puzzle together. Back to the story: As excited as I was to have met a fellow grid activator, by early-afternoon, the energy was streaming through me so intensely that I was not only physically hurting but also feeling emotionally scrubbed out. Knowing that two house guests would be arriving just a few short hours after my arrival home on Sunday, I started to wonder if the better choice was to leave early and regroup before they arrived. I decided in favor of resting in my room then grounding next to a grandfather tree just steps outside the backdoor of the retreat house. Then I found my way to the healing room and sought out the much needed support from the beautiful souls who were selflessly gifting their time to help others. I left the healing room, still feeling shaky but more balanced. The energy in the body no longer felt so pressurized and was starting to integrate. Fast forward into Sunday afternoon. Just two hours after I got home, our two friends arrived. I felt peaceful and happy to see them. We quickly settled into the flow of catching up over a meal but I was still not fully balanced. I noticed any kind of sound was met with irritation. After we settled into the comfort of the living room, my husband Mark was sitting beside me as we talked. He looked like he had fallen asleep but was instead deep into the energy as he held a 20-sided crystal that our friend Lucy had brought from Iowa. While he continued his inward experience, our other friend Sheryl must have recognized just how uncomfortable I was because, at some point, she got up from the couch and walked across the room. She stood behind me with her hands first on my head then on my shoulders to get me grounded. Lucy sat on the floor in front of me and held my feet. As they did their work, I could feel those now familiar electric jolts, sharp waves of light that first bounced through my body on Friday morning suddenly calm into a peaceful flow. Once we settled back into our visit, that same electric-like current started pulsing through Lucy. I quickly realized that we all needed to integrate this energy into our systems. Mark and Sheryl held sacred space for Lucy to integrate the energy. Then Lucy and Mark held space for Sheryl. I was standing back and sensing the amplification of the field. We all settled in again and I was back to sitting beside Mark with that crystal in his hand. The energy amped up again. But this time I could feel the energy was coming from the crystal. After pointing that observation out, Mark put the stone in my right hand. The moment it made contact with the palm of my hand, I felt that sharp electrical-like current, and at the same time, my awareness traveled to a group of inter-galactic beings. I could sense and feel their presence but their star lineage was fairly unfamiliar to me. On some real level, I just knew that once I put the crystal in the palm of my left hand, I would begin to feel more balanced. The moment the crystal made contact with my left palm, I was immediately transported to a crystalline chamber where beings (these beings felt very familiar to me) explained those big missing pieces of the puzzle to me. The information we received that evening left us giddy and deeply grateful. When I think back to how magical it is when we recognize one another as we are deeply listening to Divine guidance, and how seemingly separate events, once all strung together, lead us to such a life altering moment. It truly takes my breath away. To receive the gift of such a huge piece of this global puzzle was tremendously exciting yet I know now that this kind of synchronicity does not happen without the heart-to-heart connections that occur as others are listening too. 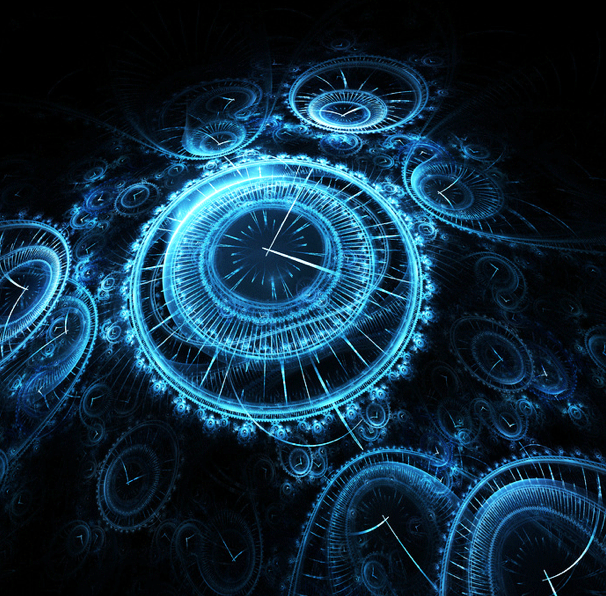 I would LOVE to hear your story of synchronicity as you are aligning with your calling. What story of this kind of spirit-led magic has or is happening in your life? If you’d like to learn more about our global mission, or to see if this is your calling too, follow the link below.